Park rules restrict canine companions almost exclusively to roads and trails, so you’ll want to read up on the rules regarding pets before you go. In Yosemite Valley, leashed pets can accompany you on the half-mile paved trail to Lower Yosemite Fall, which will be surrounded by a fringe of fall foliage come October. 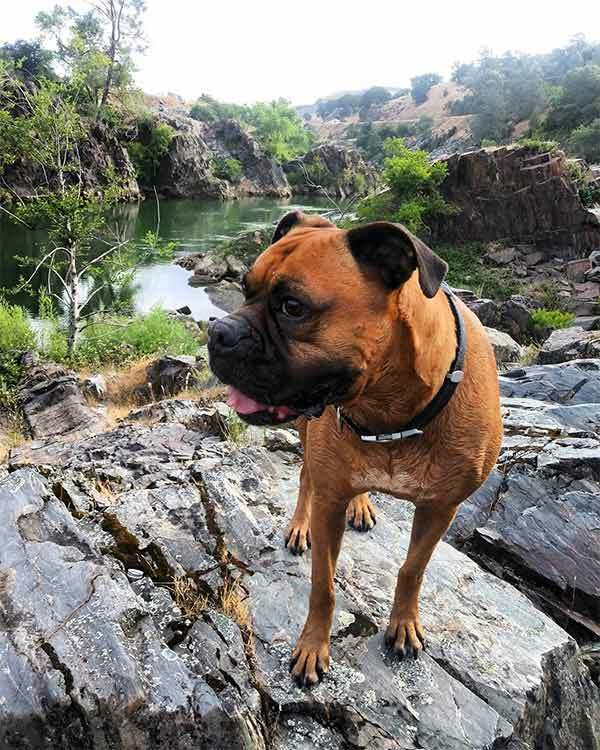 The half-mile path to Bridalveil Fall and the bike trails looping around Yosemite Valley and hugging the banks of the scenic Merced River are dog-friendly, too. Dogs are not allowed in Yosemite lodging, however Tenaya Lodge, two miles from the southern park entrance, is uber dog-friendly; and up the road in Wawona, privately owned vacation rentals are available at the Redwoods in Yosemite, a 130-home development sequestered within park boundaries. 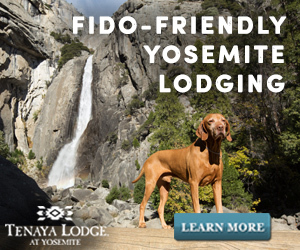 Thousands of additional rooms, some of them dog-friendly, can be found elsewhere in the Yosemite Region. While most park restaurants ban dogs, canine visitors are welcome to join you at outdoor tables at the Village Grill in the commercial heart of the park.